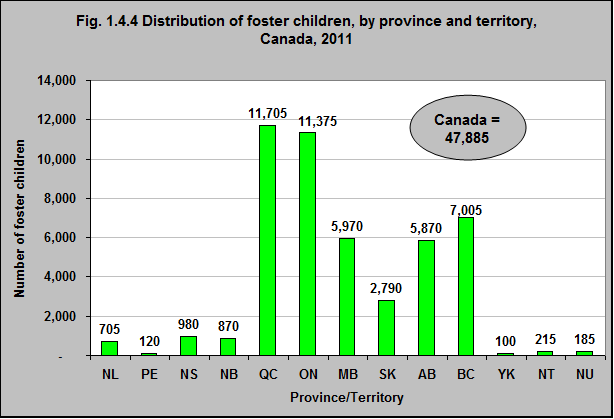 In 2011 there were 47,885 children living with foster families in Canada. Almost half were in Ontario and Quebec – with 24% in each of the two provinces. Another 15% were in BC and 12% in Alberta.